It’s time to plan for the Mo-Ranch/PAM 2017 Worship and Music Conference! 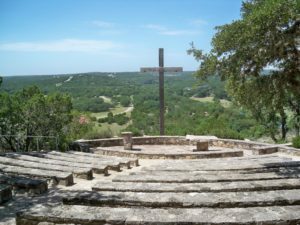 We would like to take as many children and youth as possible to this wonderful week of choirs, inspiring worship, children’s chimes, youth hand bells, instrumental ensembles, and making new friends along the beautiful Guadalupe River. WHEN: June 18 – 23, 2015 (Father’s Day week). We would leave on Sunday morning and return on Friday. WHERE: Mo Ranch Presbyterian Assembly, Hunt, TX. COST: The conference fees and housing and meals info are listed below according to age. You are encouraged to apply for all applicable scholarships from PAM (Presbyterian Association of Musicians) and Mo Ranch, especially if you are sending multiple children. WPC has money set aside for conference attendance and there are also funds available from the Youth Choir Coffee/Chocolate sales throughout the year. BUT, we can’t help if you don’t apply! If your child wants to join us, please turn in an application even if you can’t pay the deposit! BOTTOM LINE: Please print and fill out a registration form for each child – legibly – and return to Debbie Dalton with a $75 deposit per child. I will register everyone at the same time! If you have any questions, please call or write Debbie Dalton (936) 371-0302, ddalton@sfasu.edu or talk to Noble, Anna, Megan, Joseph or Josie about their experience last year! DEADLINE: MARCH 15! Get this done ASAP! Apply for funds from Westminster Presbyterian Church: Write a letter to the Session indicating the desire to attend and the nature of your needs. Our goal is 100% participation! • Available to any person of racial/ethnic heritage. • Available to any adult, youth or child with financial need. • Available to any college student with financial need. • To be used for any PAM conference. • Only one awarded per year. • Includes room and board in addition to registration. NOTE: These are Regular prices that are good until April 15. After this date the fees go up! CHAPERONES: We need one adult for every 6 children/youth. You may go as a participant and sing/play in the choirs, go to classes, Bible studies, lectures, etc. OR you may go as a non-participant who goes to classes with the children and youth. Either way, you are in for a GRAND TIME! Looking forward to a blessed week in June 2017!